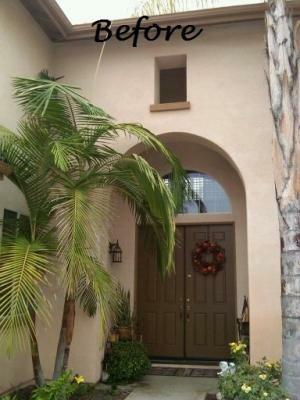 To begin our series of “Before and After”, please take a look at one of our most recent installs in Highland, CA. 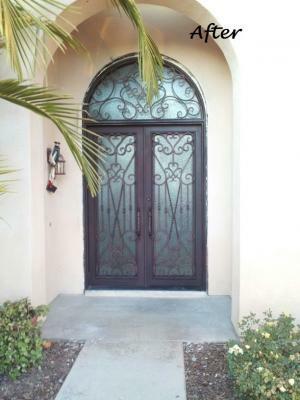 This beautiful wrought iron double door has an arched transom and completely changes the look of the entry way of this home, making it one of the most unique houses in the area. To completely transform this home we can complement this door with matching Iron garage doors and ornamental wrought iron railing giving the home a sophisticated touch while standing out from the rest of the block. Check back with us to see our next “Before and After “ article.